Some 82% of marketers expect to increase their digital spend as a percentage of their total advertising budget. Further, nearly 80% of marketers plan to increase their investment in analytics or attribution solutions in the next 12 months. Those are some of the key findings from the Nielsen CMO Report 2018, the first in an annual series of CMO reports by the audience measurement company. The research, based on in-depth U.S.-based CMO interviews and extensive survey data, made it clear that it’s not more data that marketers are looking for, rather better insight. Only 25% of marketers reported being highly confident in their ability to accurately measure return on investment (ROI). Across nearly all business verticals, marketers reported large shifts in how they evaluate, measure and budget across media channels. They also revealed how important digital media has become to their overall marketing efforts. While respondents didn’t – in general – rank traditional media as highly as digital, they made it clear that traditional channels remain critical to brand building and its associated top-of-funnel marketing metrics including brand awareness, recall and favorability. The report demonstrated that brand advertisers are increasingly organizing themselves in more channel-agnostic ways with customers at the center of their strategy. Four years ago that was not the case for over 70% of companies. Now nearly as many marketers (62%) reported being organized in a way that supports an omnichannel approach with unified reporting structures and revenue goals. Challenges with omnichannel marketing execution persist, however, as only a quarter of brand advertisers are highly confident in their current marketing technology. Respondents reported a need for an easier approach to marketing technology that better integrates multi-channel consumer data and insights in one place. 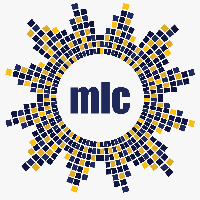 MLC Media Services on July 1 will assume responsibilities for all on-air network sales and radio station affiliation of the nationally syndicated Spanish-language program “El Show de Chiquibaby” in the U.S. The program, hosted by Stephanie “Chiquibaby” Himonidis, is currently airing in 32 radio markets. She is also host of the Telemundo show Acceso Total, which airs in more than 12 U.S. markets. This summer she will be traveling to Russia for the 2018 FIFA World Cup to be part of the “Un Nuevo Día” morning show team. She will also host her daily radio program and share her experiences from Russia on social media. Chiquibaby has been a host on stations serving Hispanics owned by CBS Radio, Univision and SBS. The Adam R Jacobson Consultancy, in association with HispanicAd.com, is proud to announce the release of the annual Hispanic Market Overview state-of-the-industry report. A decade ago, there was an attempt by an editor at a now-defunct trade publication focused on Hispanic marketing and advertising to start a tough conversation about the industry’s next 10-20 years. Yet, no one wanted to address the changes we long saw coming. In 2010, there was concern that the U.S. Hispanic marketing and advertising universe was ripe for contraction. We even suggested that, come 2030, the U.S. Hispanic market would be very similar to the African American marketplace of 2010 — fully integrated and “total market” in scope, with a handful of media brands specifically targeting this consumer group. We were assailed for such a suggestion. Hispanics are different, we were told again and again. They continue to embrace their culture. BINGO. That statement, more than any other statement we’ve heard from Hispanic marketing pioneers to today’s most active agency leaders, speaks volumes of the rapid change taking place in Hispanic marketing and advertising. Of course, there are major changes taking place for all advertising shops – not just those that have identified themselves as “Hispanic agencies” or specialists until now. Programmatic is, for better or for worse, a reality brand managers and Hispanic shops must work with, not against. Data-driven analytics are driving more campaigns than ever before. Efficiencies are a budget must, but as demonstrated by Wells Fargo Bank in a newly launched campaign we discuss in this year’s edition, don’t have to be simple transcreations. Why? Because, it is all about cultural relevancy. But … to what extent? The release of the 2018 Hispanic Market Overview comes concurrent to the first-ever Culture Marketing Council annual conference, taking place June 4-6 in Los Angeles. The name-change is a case study in how the U.S. Hispanic market is an amoeba, shifting shapes in an ever-evolving manner that requires intelligence from experts. 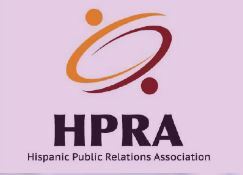 That’s where CMC members, and others that have been highly active “Hispanic” marketing and advertising pros, come in. Alex López Negrete has carved his teeth on highly successful Hispanic market efforts for some of the world’s biggest brands. Yet, the biggest news coming out of his Houston-based agency involves a campaign created for the Middle East, with spots in Arabic. Is this indicative of where the U.S. Hispanic advertising and marketing industry needs to go? Maybe for some, maybe not for others. Gaby Alcántara-Diaz has become the go-to expert on how to reach the upscale Latino consumer. 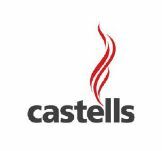 Heritage shops such as D Expósito & Partners and longtime industry leaders including Liz Castells and Isaac Mizrahi continue to focus nearly all of their efforts on Hispanic ROI solutions for their clients. And, it’s not like brands who have been actively targeting Hispanic consumers are suddenly ceasing that activity. Instead, it’s the same old song: Categories ripe for growth that have been ripe for growth for nearly a decade, combined with “total market” challenges that have led to lower returns resulting from taking the Cheap Channel, rather than the ROI River. There are many idea generators when it comes time to produce this annual report. But, we never thought one of those would be the classic Elton John album Goodbye Yellow Brick Road. While playing this album, on the record player, those lyrics struck us. One year ago we fretted that the death of Hispanic marketing and advertising was upon us. Ernest Bromley is retired; his shop shuttered. Great voices of the past, such as Carl Kravetz, have been dimmed. The Smithsonian Institution has a museum exhibit now dedicated to what was, what had been just outstanding – and now a part of the American past. Yes, we’re holding a funeral for ahaa, and we’re still very concerned about the future of “Hispanic” marketing and advertising. But, we’re not mourning the death of the U.S. Hispanic market in any way, shape or form. Rather, we are rededicating our passion and commitment to telling marketers and advertisers why the U.S. Hispanic consumer is – and will continue to be – an integral part of the diversity and culture-minded efforts that are now reshaping the ways companies communicate with consumers. From Target EVP/CMO Rick Gomez to Comcast VP/Multicultural Communications José Velez-Silva, the embrace of culture marketing will do much to guarantee the continued importance of Hispanic-specific outreach. Until mid-May, we at Hispanic Market Overview weren’t convinced. We asked Mizrahi and Mr. López-Negrete what they thought of the rebranding of ahaa to CMC, because we weren’t so sure removing “Hispanic” from the name of an organization focused on the U.S. Hispanic market was such a smart idea. On Memorial Day, a visit to Pearl Harbor was made, with the afternoon spend enjoying the famous Waikiki Beach and Diamond Head State Monument. It was a great lesson in culture marketing. Everywhere we looked, there were Japanese tourists and residents rubbing elbows; signage and ads included Japanese messaging, while Hawaiian Airlines offers an in-flight magazine all in Japanese. There are also Filipinos, and native Hawaiians that are increasingly using the Hawaiian language. All converged that evening for a 20th annual Lantern Floating Hawaii ceremony to remember relatives, friends and fallen service members. More than 30,000 people attended the event, televised live on Raycom-owned broadcast stations serving the Hawaiian islands. It was a truly multiethnic event that, while somber, demonstrated the power of inclusion, creativity and community. Creativity, community, and culture are the focal points of the 2018 CMC Annual Conference. 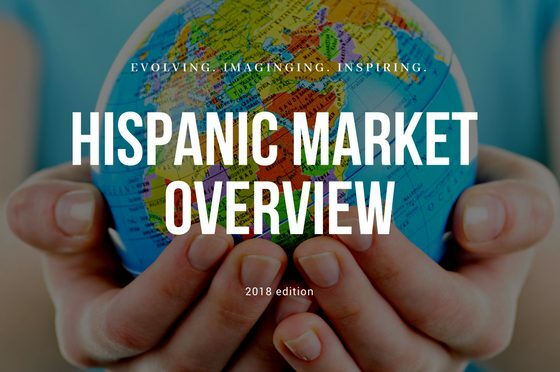 Hispanic Market Overview takes it one step further, by showing how evolving, imagining and inspiring can yield continued growth and extend the life of an industry that’s changing every day. But, these metamorphoses are welcomed and far from a harbinger of death. It was a great image to put into perspective where we’re collectively heading. The yellow brick road extends far for the U.S. Hispanic marketer and advertiser, and involves a journey that may include some not-so-smooth navigation. But, with the perfect harmony of cultural wisdom and resonant messaging, the future looks to be a bright one. 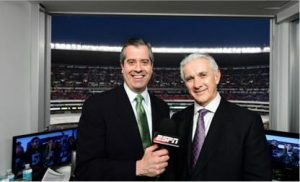 A Mixed Martial Arts (MMA) sports and multimedia entertainment company finding success by targeting Hispanics has turned to a media industry veteran and former Telemundo executive to serve as its new President. Taking the role at Combate Americas is Jacqueline Hernandez. She will be based in New York and reports to founder and CEO Campbell McLaren. Hernandez, working in tandem with McLaren, will oversee the entire business apparatus and P&L of Combate Americas. She will be responsible for driving the company’s continued global expansion, expanding multi-platform distribution channels and geographic regions for the company’s growth plan, negotiating media rights and developing a world-class MMA Sports & Entertainment enterprise and brand name. 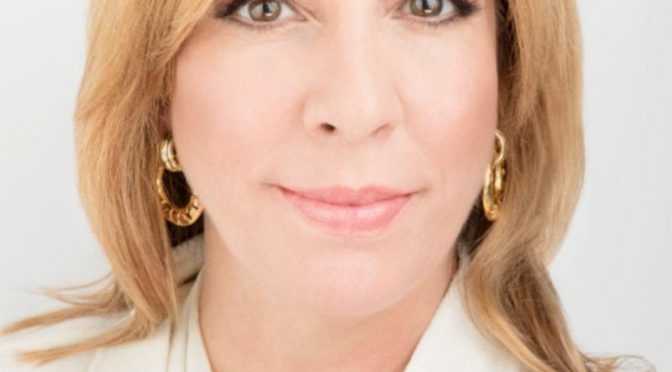 Hernandez has held the roles of Chief Marketing Officer of NBCUniversal Hispanic Enterprises; Chief Operating Officer of Telemundo Enterprises; and Publisher of People en Español and Teen People. Most recently, Hernandez was President and Founder of the strategic consulting firm, The M²Z Group, where she took on Combate Americas as her first client. Handling PR for Combate Americas is Michelle Alban, the former VP/Corporate Communications and Public Affairs for NBCUniversal Telemundo Enterprises. Alban now serves as CEO of Lima Charlie Communications, her own Lighthouse Point, Fla., based PR shop. A team of local station journalists from Telemundo O&Os in six top Hispanic DMAs are packing their bags, grabbing their passports, and practicing how to say Доброе утро just right. Talent from Telemundo Station Group stations in Los Angeles, Miami, Houston, Chicago, Dallas-Fort Worth, and the Rio Grande Valley are flying to Russia along with talent from Telemundo’s national news bureaus in Washington, D.C. and Miami to cover the 2018 FIFA World Cup. A total of 12 sports and news anchors, photographers and producers are making the trip, making it the largest Telemundo junket ever to cover an international sporting event. Special local shows and segments like “Acceso Rusia” (Russia Access), “Hoy En Rusia” (Today in Russia), and “Recorriendo Rusia” (Traveling Through Russia) will be produced for Telemundo’s stations from Russia. This will be complimented with distinctive local digital content like interactive games, score cards and the ability to watch live games from Telemundo owned station apps. The station group’s on-air team includes WSNS sports anchor Rodrigo Arana, WSCV news anchor Adriana Delgado, KXTX sports anchor Erik Mora, KVEA sports anchor Alejandro Navarro and KTMD sports anchor Ubaldo Martinez. The 2018 FIFA World Cup Russia will take place from June 14 to July 15, 2018. Follow the Telemundo Station Group’s on-air anchor team as they report from the 2018 World Cup @AranaRoa, @ADelgadoT51, @ErikMoraTV,@AnavarroT52, and @UbaldoKTMD. 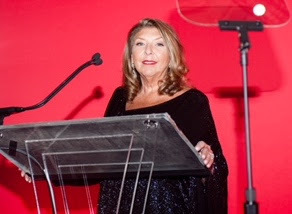 Daisy Expósito-Ulla, Chairman/CEO of d expósito & Partners, was inducted into the 69th Annual Advertising Hall of Fame at a Gala Dinner and Induction Ceremony on Tuesday (4/24) at Cipriani Wall Street in New York. The AAF Hall of Fame is the highest honor bestowed by America’s Advertising Industry and it recognizes the most accomplished and legendary figures in advertising. Besides having received numerous industry and creative awards (Clio, Effie, Addy, ADCOLOR Lifetime Achievement Award among others), she is consistently acknowledged as one of the Most Influential Latinos in the U.S.A. Her participation on boards includes the Ad Council, the AEF, and the 4A’s Foundation and she is a founding member of AHAA (The Association of Hispanic Ad Agencies) now known as Culture Marketing Council and served as its president. Daisy has been widely recognized as a pivotal architect of the Hispanic Market in the United States. Her pioneering efforts for the industry started at an early age when the market was significantly smaller from what it is today. View the video of Daisy’s acceptance remarks at https://vimeo.com/266814580/1c747e1187 .